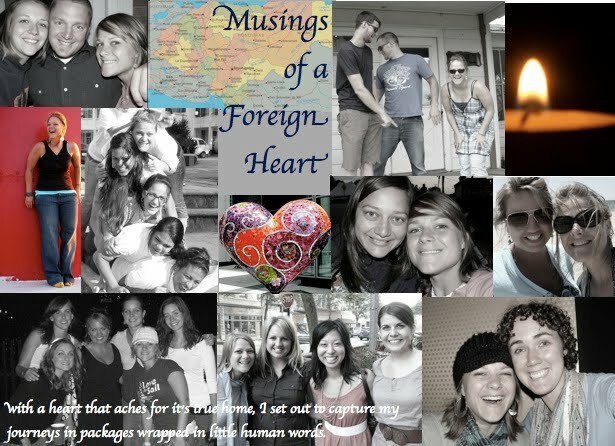 musings of a foreign heart: Teacher or Friend? I'm a very determined kind of individual. Sometimes my determination is misplaced and things get very ugly. But, sometimes my determination leads to laughter, deep thoughts, and words on paper. I write everything. I'm not very good at filtering ... so you will see it all. Maybe there will be a little inspiration for someone else along the way. I hope so. 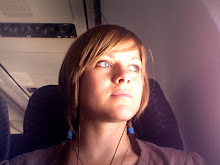 My sister also likes to guest blog and I'm sure you will appreciate her wit and wisdom. Today I attended the ACSI conference for Honduras schools... and though I was tired toward the end, I left with many new ideas for the classroom. I'm not going to lie, it's been a struggle to find ways to be interactive, yet still make it through the psychology curriculum. The longer I am here, the more I'd rather be chatting with these students over coffee instead of staring over furrowed brows at their antics. I'm no stranger to high school teachers - my mom has been "stuck there" for 20-some years. But, I certainly never realized the struggle between maintaining order and having fun. If there are teachers out there can give tips, please share! I'm sorry this post is so short, but I am literally struggling to keep my eyes open. I think that struggle between being teacher and friend was the hardest one for me as a young teacher as well. As I look back, time has taught me that the role of 'friend' can't be a goal. You find yourself wanting to be able to sit over coffee and chat, because that is a comfortable role for you. We always revert back to what is in our comfort zone. Being a friend is something you have a lot of experience with and you are good at it. God has put you in a different role now. You are now a teacher, one who inspires and motivates young minds to reach for the stars. It's hard as a young adult to be put in the role of an authority when you don't feel much older or wiser than your students, but you are. I think the best classrooms are those where there are high expectations for behavior and learning. Students have the best experiences when they are challenged and see that they can do more than they thought they could. 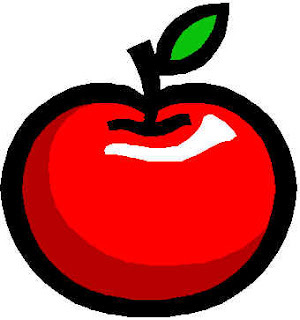 Maintain an atmosphere where students are free to strive and possibly even fail. When that is established you have the freedom to engage students to discuss, form an opinion, collaborate, create and all those other great things that make classes 'fun'. God put you in this role because He knows you have what it takes. I am praying for you and excited to see what God does in your life and the lives of your students. Great comments, Linda. Also- the students I have the best relationship with are the ones that I spend time with outside of school- clinics, honor choirs, etc. We get to have great conversations and get to take our relationship beyond that of student/teacher. You will have that with your "hand and feet" kids and maybe some that you counsel. But it's interesting that those same kids will start to change the dynamic of the classroom, though it takes time. Time will also help the classroom expectation/trust factor which is also huge. PRAY FOR THESE PEOPLE TODAY! Check out networked blogs on facebook! Speak for those who cannot speak for themselves!